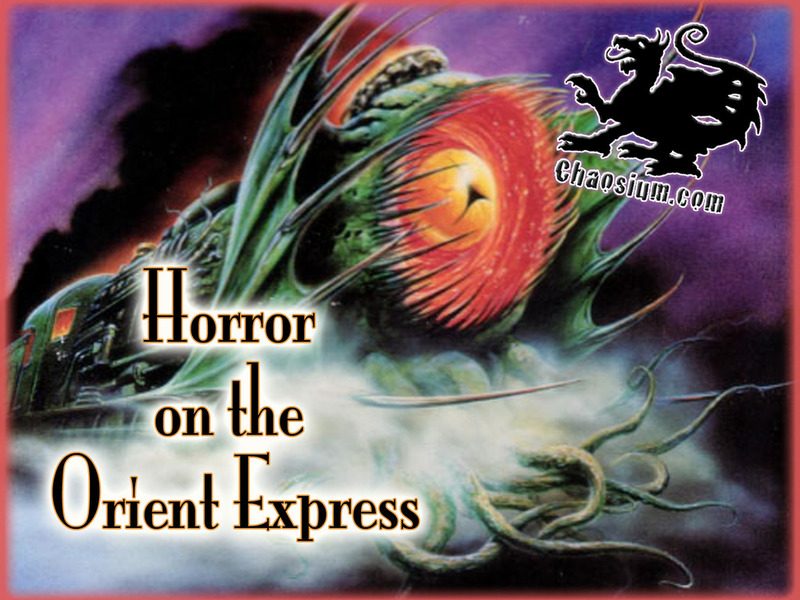 Tonight, we’re playing the excellent Call of Cthulhu campaign Horror on the Orient Express, and you can watch us LIVE. Even if you’ve never played Call of Cthulhu, it’s a lot of fun to watch, and while you watch, interact with us on the Lovecraft eZine Message Board. Watch at this link, tonight at 9:00pm Eastern time (8pm Central, 6pm Pacific). See you then! MAN DIES THREE TIMES IN ONE NIGHT! A puzzling headline begins a front-page article found in the Times of London. Three men, all identical in identification, were found dead in the same room of the Chelsea Arms Hotel. All were dispatched in a similar manner—stabbed through the heart.